Virat Tradelinks Pvt. 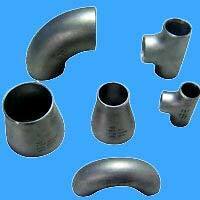 Ltd. is a supplier of steel products from sources all over the world. We are an organization with strong international links. These links ensure that we are able to source our client’s requirements from companies with a proven track record specializing in global sourcing and supply. We do not claim to perform miracles but with the backing of our principals we have the will to perform. On an exclusive basis, Virat Tradelinks Pvt. Ltd. represents for the Indian Sub continent. Starline S.P.A. of Italy, the largest Forged Ball Valve producer in the world. Mangels of Brazil – Producer of high carbon steel strips. We look forward to service your needs in the near future. Give us an opportunity, you will be glad, you did. It will be a pleasure to do business with you.